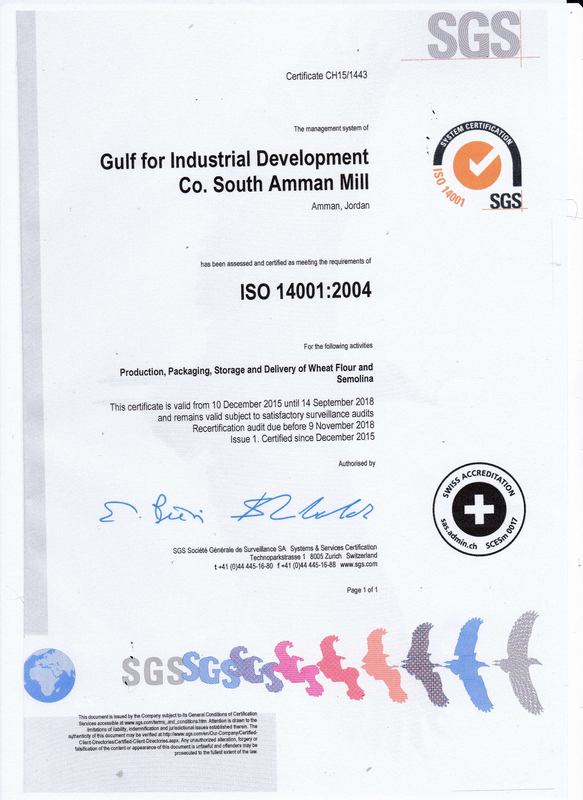 South Amman Flour Mill (SAFM) is the leading mill in Jordan, providing quality flour, semolina, bran, and gluten-free products to local and international food service providers, bakeries, and food-manufacturing markets. Established in 1997 as a subsidiary of the Gulf Industrial and Development Company, SAFM is proud to be blazing the path to success with its fully-automated, modern, and state-of-the-art manufacturing equipment purchased from Buhler AG of Switzerland. 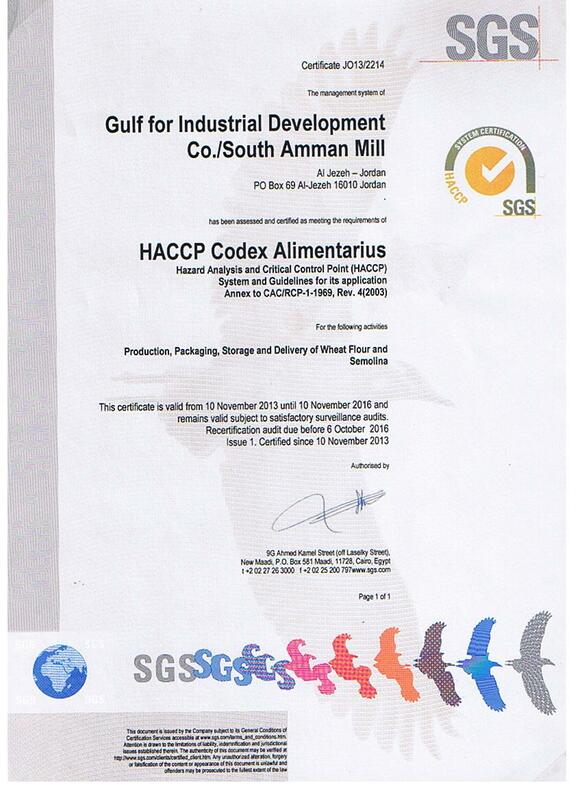 SAFM received the ISO 14001:2004, the HACCP Certificate, the Halal Certificate, and the Jordanian Food and Drug Administration Certificate. SFAM has built one of the most developed laboratories in the region to conduct quality control tests according to international standards. SFAM hires experienced food technology experts to guarantee the highest quality products. The laboratory tests the grains to ensure that they are free from harmful toxins, pesticides, or other harmful microorganisms. The laboratory received SGS award for the best laboratory in the Middle East. 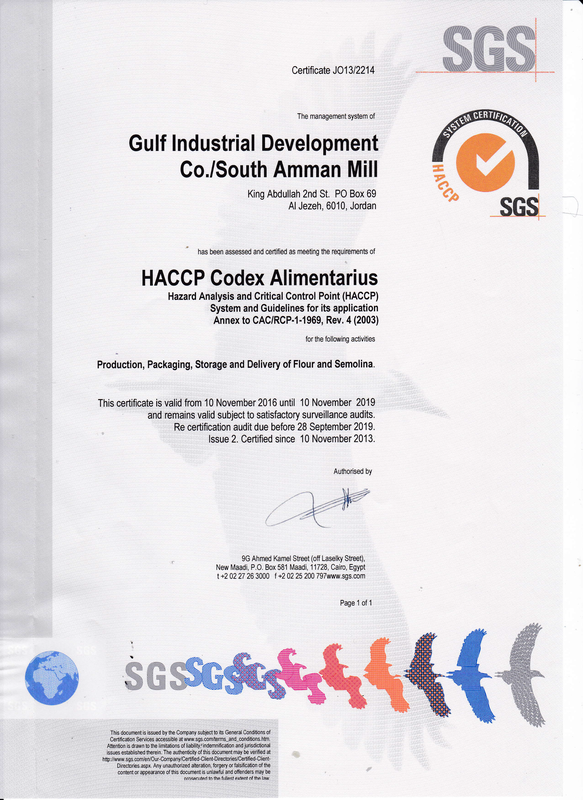 Given its advanced equipment and the high expertise of its staff, other mills within Al-Hazaa Group, as well as other companies in the industry in Jordan, resort to the SFAM laboratory for quality tests. SAFM has grown significantly by providing a variety of quality flour and wheat-derivative products. It contracts with leading suppliers in the world to purchase the highest quality wheat to produce high-quality flour for the local and regional markets. SFAM has a market share of 23% in Jordan and has consistently developed exports to neighboring countries. SAFM has a daily production capacity of 1,000 tonnes and a yearly capacity of 360,000 tonnes. It has 12 storage silos with a capacity of 120,000 tonnes and a fleet of trucks to serve its customers. 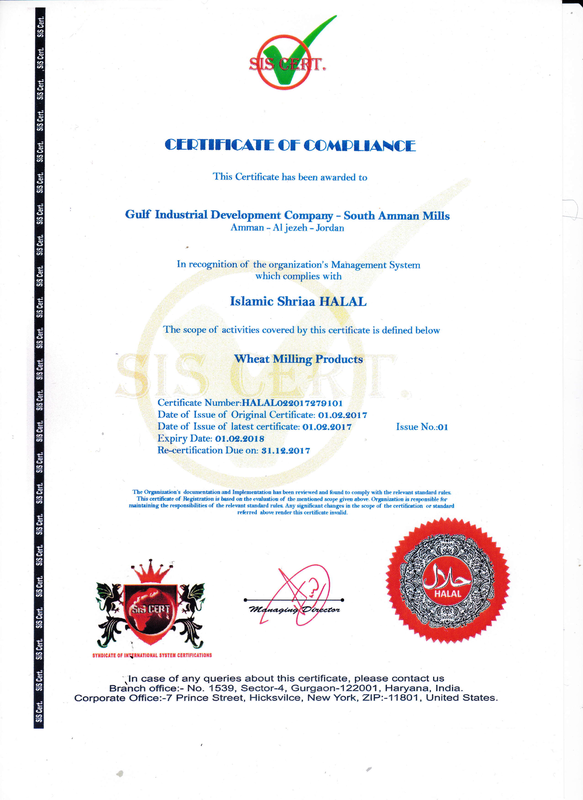 Its products are sold in Iraq, Yemen, Saudi Arabia, and Syria. Products: In SAFM, we produce high-quality products for use in the food industry, bakeries, and sweet shops. Our products can be found on the shelves of neighborhood shops and bigger supermarkets and stores throughout the Kingdom and other countries. SAFM products are sold in packages of different sizes and material, including paper, nylon, and big canvas sacks, depending on the type of product and customer preferences.